Stories for God's Glory is a new creative writing curriculum for homeschoolers. 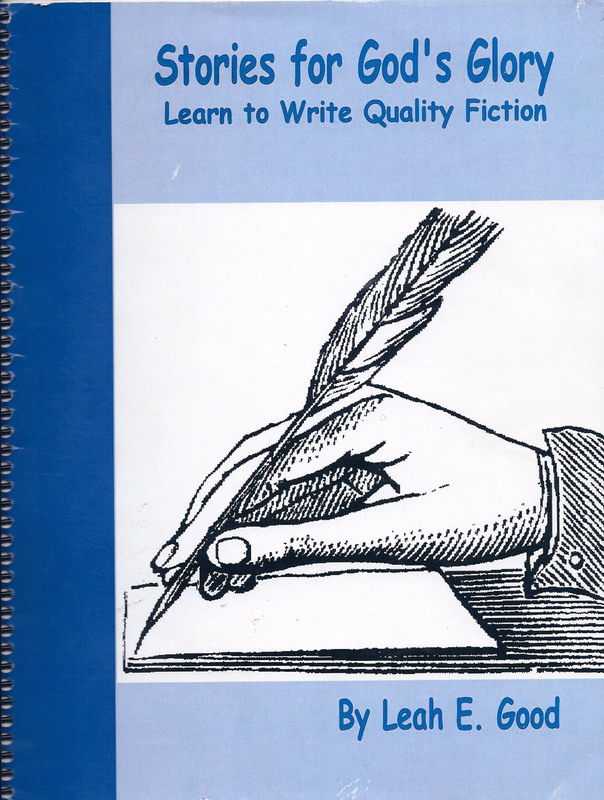 If you have a middle-school aged student (grades 4-8) who enjoys writing fiction, you are going to love this interesting, well-written, easy-to-use (and self-directed) curriculum! Homeschool subjects covered: Creative writing, language arts. Written by a homeschooled student for homeschooled students, this innovative book thoroughly teaches kids how to write by first teaching a creative writing lesson, then showing how other authors applied the same lesson in their own writing, and finally having the student apply the new skill to his own writing. The lessons are so incremental, even the most reluctant writer can handle them! Please note: In order to complete this curriculum, you must purchase the book Of Places from ABeka. Stories for God's Glory uses Of Places as a reader, and many of the assignments are based on the stories in Of Places. Incidentally, Of Places is a wonderful reader, and my daughter loved it! We do not carry it (at Schoolhouse Publishing), so you'll have to contact ABeka directly - or do like I did, and buy it used on Amazon!